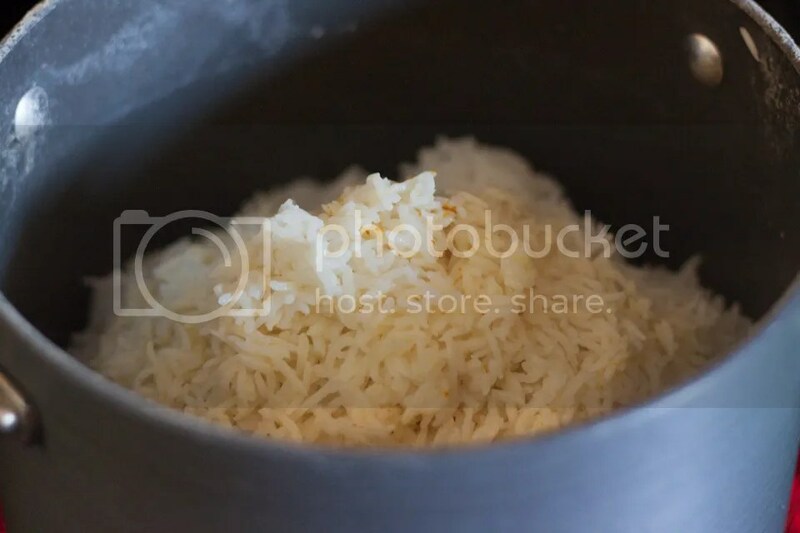 Basmati rice is an aromatic long-grain rice that originated in the Himalaya mountain foothills. It carries a lower glycemic index than short-grain rice, thus having less of an effect on insulin and blood sugar levels than most other forms of rice. Its non-sticky texture also goes well with certain dishes, especially curries. 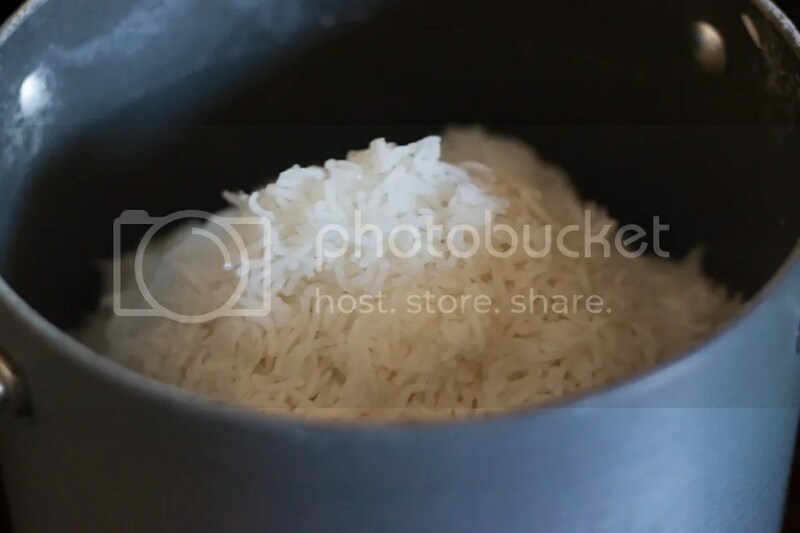 Before we move on, I’d like to address the fact that white rice even exists on a Paleo-friendly website, since one of the main points of the Paleo diet is avoiding grains. Rice has the lowest toxicity of all cereal grains, and most of rice’s toxins (phytates, trypsin inhibitor, and haemagglutinin-lectin) exist in the rice bran – which is found in brown rice – hence my white rice preference. In fact, white rice has less phytic acid than many foods considered completely safe by Paleo standards, including coconut, walnuts, sesame seeds, almonds, and brazil nuts. Additionally, most of the remaining toxins are destroyed in the cooking process. So, rice is low in toxins, but not necessarily nutritious when compared to meats and veggies. My Paleo hero, Paul Jaminet, suggests a 10% dietary calorie limit on rice, which suits our tastes perfectly. 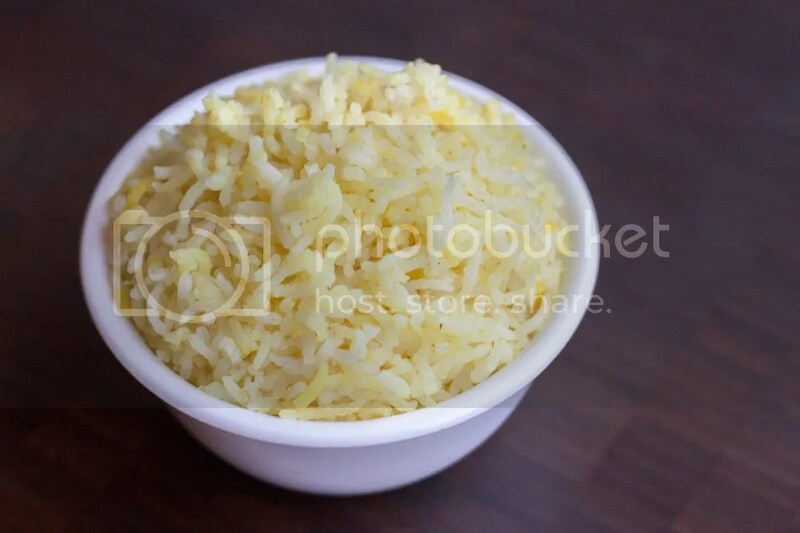 Additionally, when eating rice at the house, we tend to use it as a vehicle for other nutrients: cooking the rice in broth instead of water, or steaming with butter/turmeric/coconut milk as in today’s recipe. Okay, enough nutrition talk. Let’s make some delicious, guilt-free basmati rice. I should note that this recipe in particular is modeled after the Indonesian rice dish Nasi Kuning, but with less coconut milk and turmeric that what is usually used. Measure out your rice, then soak in cold water for at least an hour, but up to six hours. Rinse after soaking. This step isn’t totally necessary, but makes for fluffier rice. 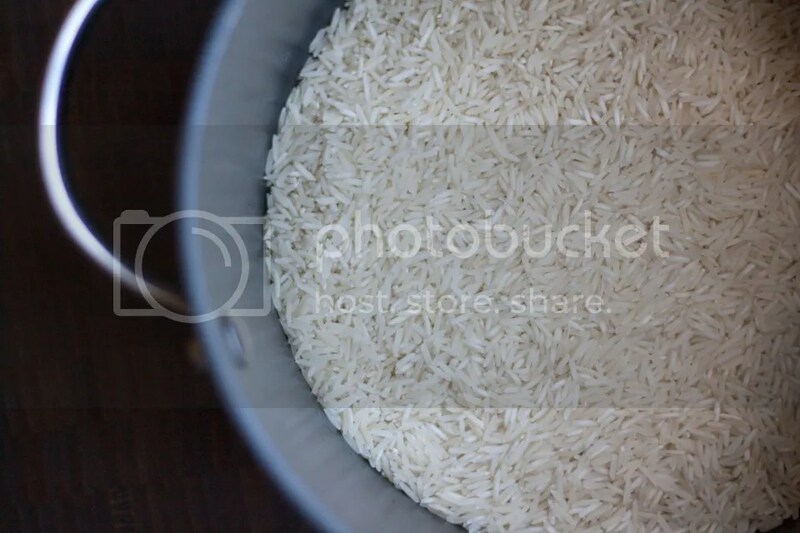 Fill the pot with water and boil gently for about seven minutes, until the rice starts to float a little. Strain your rice and set aside. 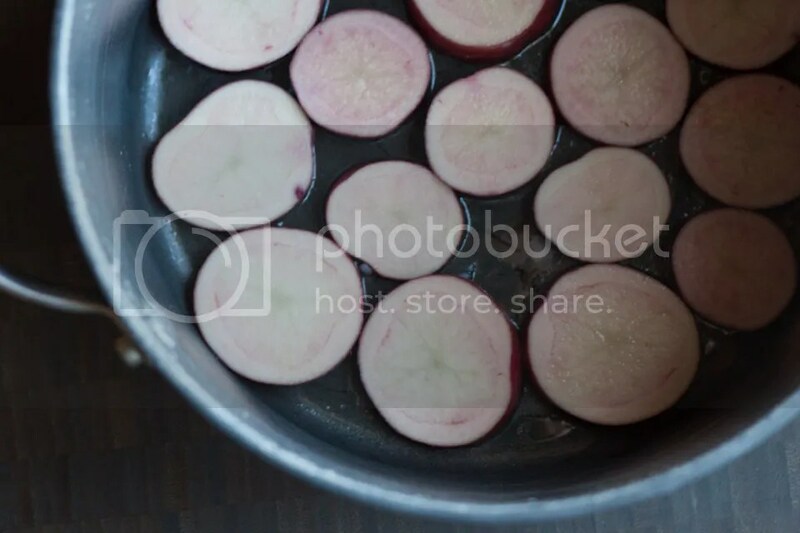 In the still-hot pot, add the coconut oil and slices of potato, so that the potato lines most of the pot. Scoop the rice into the pot so that it makes a cone/mountain shape. Do your best not to bump the pot so that the mound doesn’t flatten. 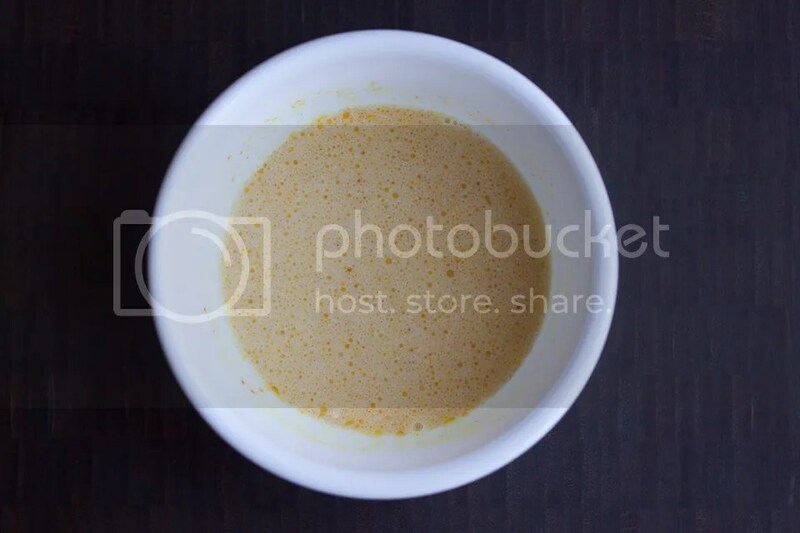 Microwave the butter/ghee until melted, then stir in the turmeric (and coconut milk if you’re using it). Evenly pour the butter mixture on top. 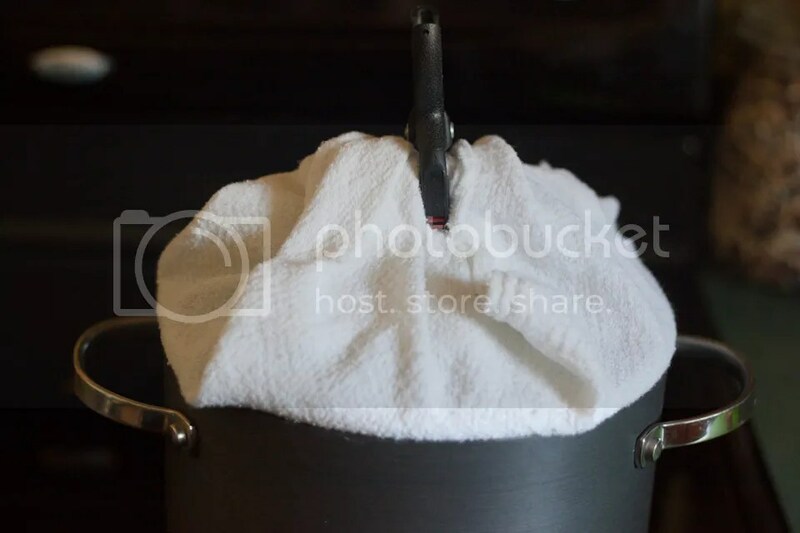 Line your pot lid with a cloth towel, then cover and secure. Steam on medium heat for 7 minutes, then reduce heat to low, steaming for another 45 minutes. That’s it! Mix your rice together a little bit (to help the turmeric spread), then serve. You can dig out the potatoes (which will be nicely browned on one side) and serve them as well. I have a question :) When I eat regular white rice, my lower abdomen gets bloated. Do you know of a reason for that? I changed the rice I have and it doesn’t happen any more… but I am curious. Not sure about bloating, what kind of change did you make? Short grain vs long grain, or just the brand/quality of rice? We love rice, but we tend to save our allotment for certain foods. Sushi and thai curries mostly. My husband can get away with it a bit more because he works out so much though. At my house everyone always fights over the crispy potatoes at the bottom this rice is great with so many dishes. I didn’t know basmati rice was lower on the glycemic index than short grain rice, good to know! Happy to be of service! I do have to caution that rice is basically pure starch, and individual results (with respect to weight loss) will vary – but that’s isn’t to say that it doesn’t have a place in a well-balanced diet :) We still use our rice cooker fairly often, probably 3x a week, although we often fill the pot with broth instead of water to get a few extra nutrients! Delicious! I will make this often. The sweet potato got more than nicely browned, more like unappealingly dark, burnt. It could have been my pot, but I think I will add a little water under the sweet potatoes next time to keep them from burning. Any other suggestions? Cathryn, that’s an easy fix. 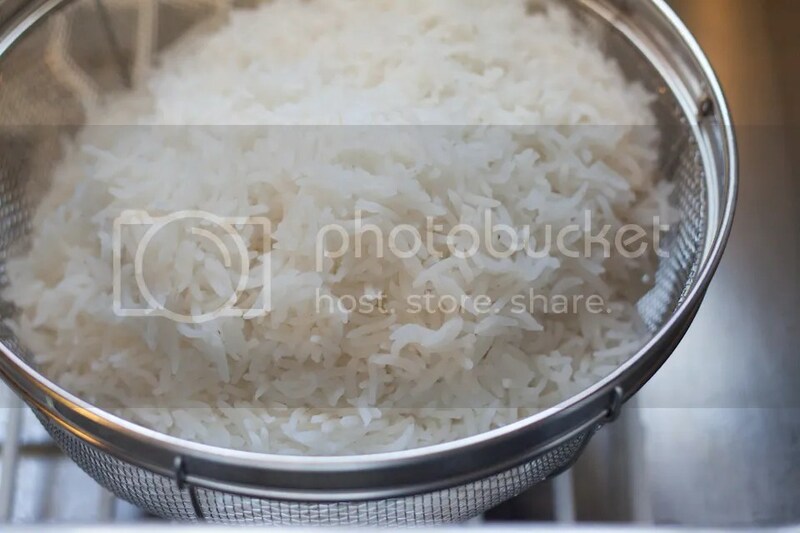 When you start steaming the rice, just steam it at medium heat for less than 7 minutes. That step of the process is just to ensure that you get a nice crust on the potato – but it worked a little too well for you! Try 3 minutes next time, and see how it turns out. Thanks, Russ, I will try that, today in fact! Sure, let me know how it turns out! how many servings is this recipe for? thanks! what if it’s only accompanied by a small side salad (still enough for 6)? thank you! Sounds tasty. Remember that rice is usually full of high levels of inorganic arsenic (a #1 carcinogen), and potatoes have chiton-binding lectin, which causes break down of all mucosal barriers (including leaky gut). Check before you venture beyond pure paleo….